Olivia Gatewood is a North Carolina native who exudes a vibrant passion for life and its simplistic beauty. Utilizing a multitude of media, Olivia creates abstract compositions of sensual, tactile colorations that epitomize artwork as a profusion of tactual expressions reflective of the beauty she finds in the natural world around her. She successfully manages to translate blank canvases into visual experiences that resonate with brilliance. Olivia received her BFA with honors from California State University in Turlock, CA. She went on to pursue graduate studies at Hacettepe and Middle Eastern Technical University in Ankara, Turkey. Gaining inspiration from her love of world travel, Olivia lived 14 years between Germany, Turkey, The Netherlands, and Hawaii. She taught art in the American Military Schools in Holland and Turkey, and worked as an illustrator for the US Air Force while in Germany. She has gained inspiration from her underwater adventures as an advanced certified scuba diver and as a downhill skier. Olivia earned her Black Belt in Combat Shotokan, and was the European Division Fighting Grand Champion for two years. Her fighting spirit contributes to her being an eight year breast cancer survivor. Her enormous passion for life and adventure is reflected in her paintings. Olivia's paintings have been presented in national exhibits and has won numerous awards. 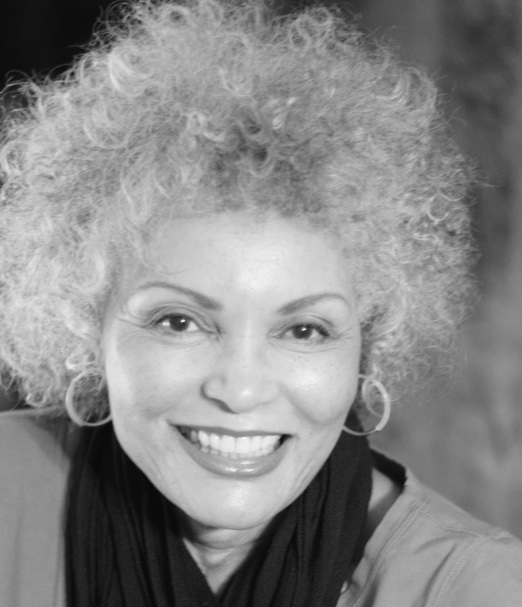 Her work can be found in personal collections as diverse as those of talk show host, Oprah Winfrey, actress and singer, Suzzanne Douglas, the late Dr. John Hope Franklin, Grammy-nominated jazz vocalist, Nnenna Freelon, and corporations like Mitsubishi International in Tokyo, Japan, and SAS Institute. Her paintings have been shown on many feature films and nationally syndicated television shows to include "New Jack City," "The Parent 'Hood" and the Oprah Winfrey Show. Her work was displayed on the cover of and featured in several issues of the North Carolina Literary Review. Olivia has one daughter, Camille, and one granddaughter. She has a home studio/gallery in Rougemont, NC where she paints and hosts painting workshops. "My art reflects my life and my belief in the essential purity of experimental improvisation. I work in various media and techniques to create unusual visual effects. Using an amorphous blend of color, I strive for new images that fit into my sense of the beautiful. These images often suggest biomorphic origins flowing from some subconsciously remembered or dreamed epoch. I utilize surface tensions to attract, refract and reflect light. I work with organic lines, forms and richly textured shapes that glow with color. These elements sometimes become the subject matter of my paintings. These paintings should be regarded as short stories in vision, full of life, color and expression They are visual mysteries of the universe and cast a magical spell around a world full of romantic interest. My artwork is about stepping outside the boundaries of what people think art is supposed to be. It's about change, growth and the evolution one's self. I paint melodies to stimulate an awareness of the beauty that surrounds us, and to integrate my life as a universal being." "Connected: African American Female Artists and North Carolina"
Feb 13, 2019In celebration of Black History Month, Governor Roy Cooper and First Lady Kristin Cooper will honor African American musicians and artists from North Carolina at a reception at the Executive Mansion beginning at 4 p.m. Thursday, Feb. 14.